Winchester Drylock Super Steel Shotgun Shells for Hunting. 12 Gauge, 3.5", 1-1/2 oz. Case price, 10 Boxes with 25 Shells/Box, 250 Shells Total. Flooded timber, swamps, marshes, duck blinds and john boats; duck hunters get wet, it's all part of the hunt. 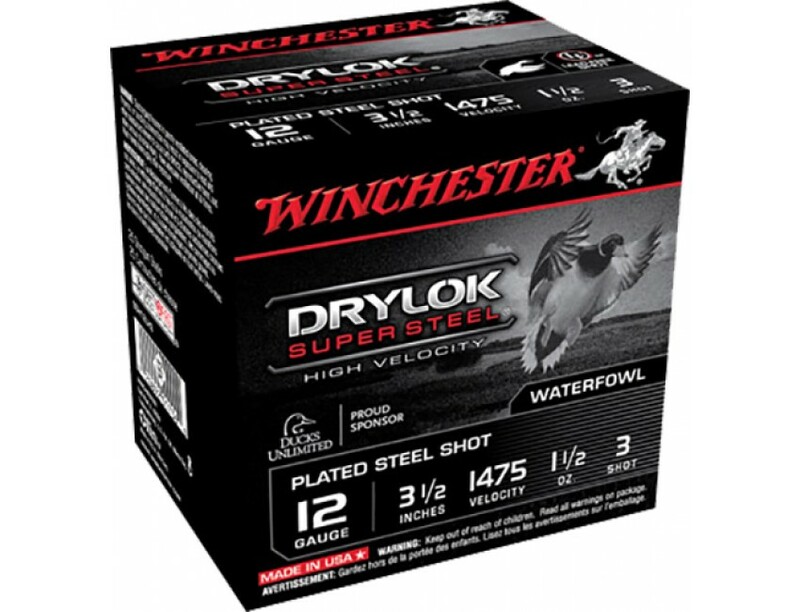 Drylok Super Steel loads are designed to keep your shotgun shells dry. The heavy wad design protects barrels and provides tight patterns for long-range knock-down, plated steel shot provides corrosion resistance.